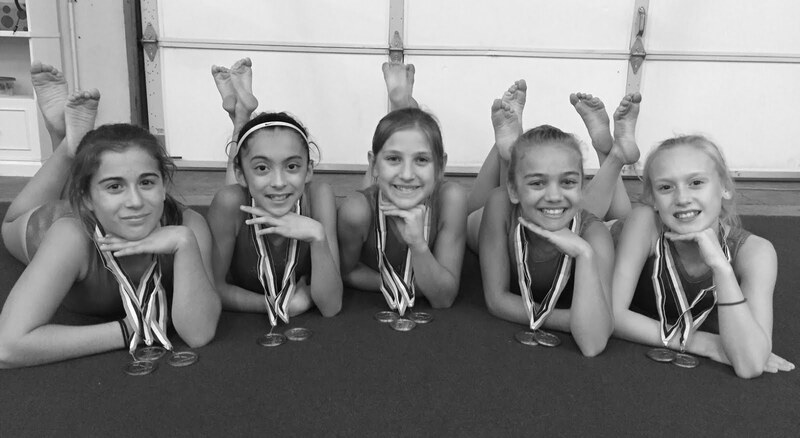 Compulsory teams from the Gymnastics Zone have been busy the last couple of weekends – they’ve been busy competing and bringing home lots of medals and team banners. They’ve also kept their parents busy traveling from oceans to valleys to earn all that hardware. 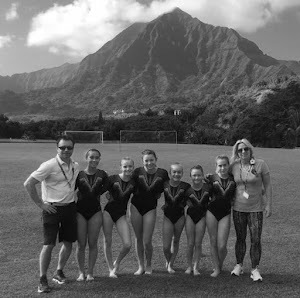 The girls started off their travels at the Begonia by the Beach Invitational held September 15-17 at the Kaiser Arena and hosted by Santa Cruz Gymnastics. Quinn Renaudin – second on vault, fourth on bars, seventh on beam, fourth on floor and fourth all-around with a score of 33.600. 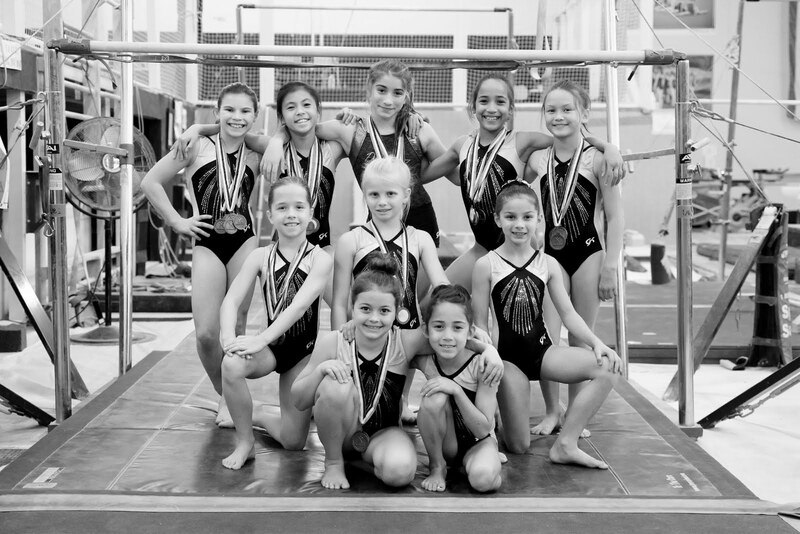 Olive Loose – ninth on vault, first on bars, third on beam, (scratched floor). 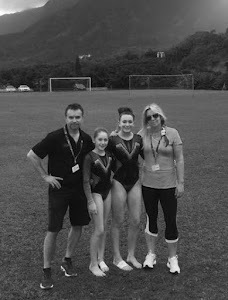 Claire Appleby – seventh on vault, ninth on beam, (scratched floor). Zuleihka Smith – fourth on vault, seventh on bars, eighth on floor and seventh all-around with a score of 35.500. Rue Holden – fifth on vault, seventh on beam and tenth all-around with a score of 34.975. Avinlea Bicknell – first on bars, third on beam, second on floor and second all-around with a score of 36.500. 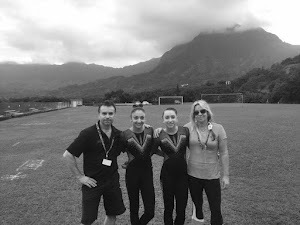 Sophia Ambrosini – first on vault, third on bars, sixth on beam, third on floor and third all-around with a score of 36.450. Emma Riggs – ninth on vault, first on bars, sixth on floor and fifth all-around with a score of 35.775. Maddie Seller – sixth on vault, fifth on bars, seventh on floor and sixth all-around with a score of 35.400. Fatima Smith – second on vault, second on floor and eleventh all-around with a score of 34.500. 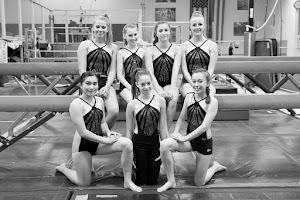 In addition to the gymnasts who previously qualified, the following Level 3 gymnasts earned an all-around score of 34.500 or greater and qualified for State Championships to be held in Vallejo in November: Maddie Seller. 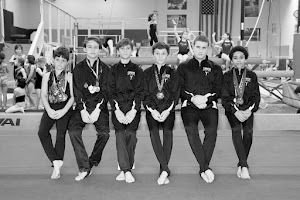 The Level 3 Team placed third in their session with a score of 109.975. Arianna Deibert – fourth on vault, second on bars, second on beam, third on floor and second all-around with a score of 36.725. Kaitlyn Conway – sixth on vault, third on bars, ninth on beam, eighth on floor and fifth all-around with a score of 35.725. Kate Parker – third on vault, ninth on beam, fifth on floor and sixth all-around with a score of 35.450. Lily Turner – seventh on bars, first on beam and ninth all-around with a score of 35.225. Xochi Huang-Faletti – ninth on vault and fifteenth all-around with a score of 32.450. Isabella Moore – second on vault, first on bars, fourth on beam, first on floor and first all-around with a score of 37.175. Keira O’Callahan – third on vault, fifth on beam, third on floor and fifth all-around with a score of 35.525. Nicole Patterson – eighth on vault, sixth on bars, sixth on beam, ninth on floor and seventh all-around with a score of 35.050. Kaylee Costella – sixth on vault, eighth on bars, eighth on beam and tenth all-around with a score of 34.375. 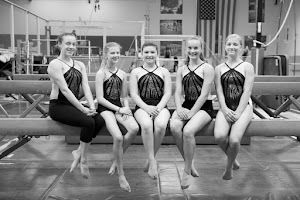 In addition to the previous qualifiers, the following Level 4 gymnasts earned an all-around score of 34.500 or greater and qualified for State Championships to be held in Roseville in November: Kate Parker, Keira O’Callahan and Nicole Patterson. 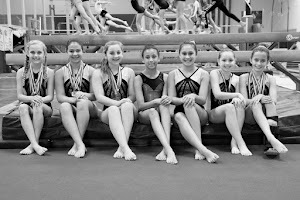 The Level 4 team placed third in their session with a score of 110.500. Makenzie Madsen – first on vault, second on bars, first on beam, second on floor and first all-around with a score of 36.900. Coralea Wright – sixth on vault, first on bars, seventh on beam, sixth on floor and third all-around with a score of 36.425. Brynna Cohee – third on vault, seventh on bars, seventh on floor and ninth all-around with a score of 34.150. Sade Muessel – third on vault, first on bars, first on beam, second on floor and first all-around with a score of 37.625. Samantha Willingham – eighth on bars, ninth on beam and eleventh all-around with a score of 33.475. 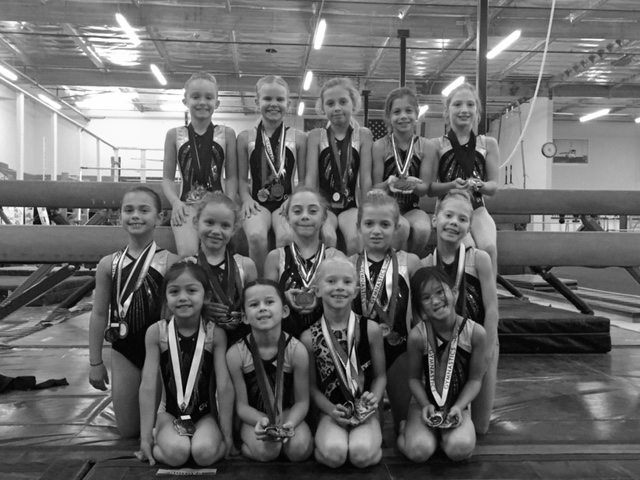 In addition to pervious qualifiers, the following Level 5 gymnasts earned an all-around score of 32.000 or greater and qualified for State Championships to be held in San Mateo in November: Brynna Cohee. 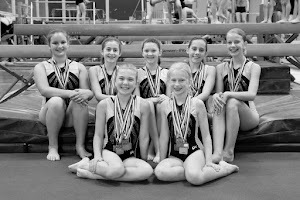 The Level 5 team placed second in their session with a score of 111.025. 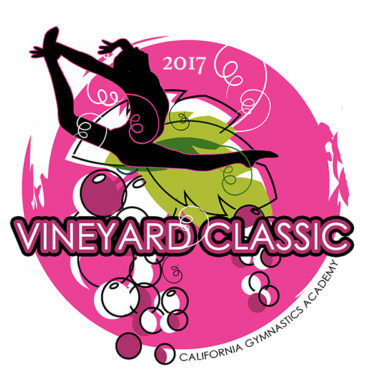 Once the girls conquered the Beach, they headed to the Vineyards of the Tri-Valley September 23 & 24 where they competed at the Vineyard Classic held at the Alameda County Fairgrounds and hosted by California Gymnastics Academy. Rue Holden – first on vault, first on bars, first on beam, second on floor and first all-around with a score of 35.725. Quinn Renaudin – first on vault, eighth on bars, ninth on beam, fourth on floor and seventh all-around with a score of 33.075. Olive Loose – sixth on vault, seventh on bars, seventh on beam, eighth on floor and eighth all-around with a score of 32.850. 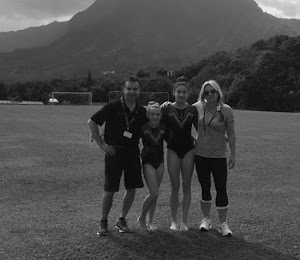 Claire Appleby – ninth on vault, third on bars, eighth on beam, (scratched floor). Avinlea Bicknell – sixth on vault, first on bars, fifth on beam, first on floor and first all-around with a score of 35.950. Emma Riggs – third on vault, fourth on bars, fourth on beam, third on floor and third all-around with a score of 35.775. Zuleihka Smith – first on vault, second on bars, eighth on beam, fourth on floor and fourth all-around with a score of 35.550. Sophia Ambrosini – second on vault, ninth on bars, first on beam, second on floor and fifth all-around with a score of 35.500. Maddie Seller – fifth on vault, third on bars, third on beam, (scratched floor). Fatima Smith – second on vault, seventh on bars, eighth on beam, sixth on floor and sixth all-around with a score of 33.975. The Level 3 Team placed first in the session with a score of 108.975. Arianna Deibert – first on vault, third on bars, third on beam, third on floor and first all-around with a score of 36.300. Kaitlyn Conway – third on vault, second on bars, first on beam, first on floor and second all-around with a score of 36.275. Lily Turner – fifth on vault, first on bars, second on beam, seventh on floor and third all-around with a score of 35.375. Kate Parker – third on vault, eighth on bars, fourth on floor and seventh all-around with a score of 33.675. Xochi Huang-Faletti – sixth on vault, fourth on beam, eighth on floor and eighth all-around with a score of 33.175. Isabella Moore – third on vault, third on bars, fourth on beam, first on floor and first all-around with a score of 36.225. Nicole Patterson – ninth on vault, seventh on bars, second on beam and fourth all-around with a score of 34.825. Keira O’Callahan – first on vault, second on floor and fourth all-around with a score of 34.825. Kaylee Costella – seventh on vault, sixth on bars, sixth on beam and seventh all-around with a score of 34.700. The Level 4 Team placed first in their session with a score of 109.650. Makenzie Madsen – second on vault, first on bars, first on beam, first on floor and first all-around with a score of 36.925. Coralea Wright – third on vault, second on bars, third on beam, sixth on floor and third all-around with a score of 36.100. Brynna Cohee – fourth on vault, seventh on bars, seventh on beam, fifth on floor and fifth all-around with a score of 34.850. Kailea Abernethy – ninth on vault, ninth on bars, ninth on beam, ninth on floor and ninth all-around with a score of 32.675. Sade Muessel – fourth on vault, second on bars, third on beam, fourth on floor and third all-around with a score of 37.475. 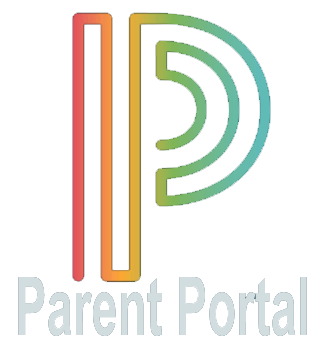 Mia Sellick – fifth on vault, (scratched bars), eighth on beam, ninth on floor. Samantha Willingham –sixth on vault, fifth on bars, seventh on beam, sixth on floor and sixth all-around with a score of 33.600. The Level 5 team placed second in their session with a score of 110.525. 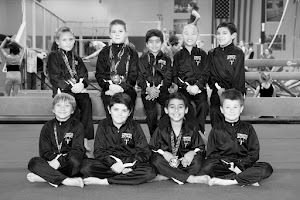 The Level 4 and 5 teams will compete next on October 8th at the Goblin Games hosted by Deltchev Gymnastics in Reno, NV.